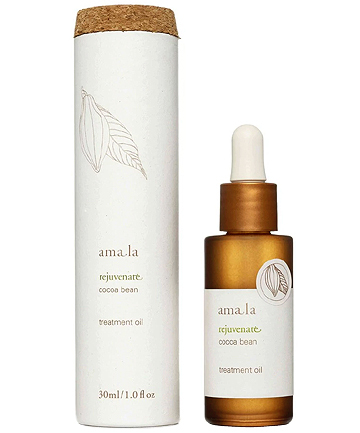 Amala Rejuvenate Treatment Oil, $186 All-natural and ultra replenishing, this organic treatment oil is designed to absorb quickly into skin to restore elasticity, reduce inflammation and stimulate microcirculation, thanks to cocoa bean, andiroba seed and amarant seed. Sure, it comes with a hefty price tag, but as soon as you see the results you'll feel more comfortable with dropping the cash. Trust us.